Any thing not mentioned in the inclusions. Meet & greet on arrival at Guwahati airport & transfer to Hotel. Later visit Sankardeva Kalakhetra. & overnight stay in Guwahati. After breakfast excursion to Cherrapunjee (60 kms / 2 hrs drive). Later local sightseeing in Cherrapunjee. Overnight in Shillong. After Breakfast drive to Mawlynnong Village (97 km/3 hrs.) to see Living Root Bridge, one of the iconic attractions of Meghalaya. Walking on the suspended natural grown bridge is another exciting experience in the state. Continue the day with a visit to Dawki (30 Km/1 hr.) known for its many adventure camps and adventure activities. Drive from Dawki to Shillong (82 Km/1.5 hrs.). Overnight in Shillong. After breakfast drive to NAMERI ECO Forest, Day long spectacular view, you also enjoy Water sports in Jia Bharali River ,Return to Tezpur After Lunch and visit Mahabhairab Temple, Chitralekha Udyan, Night Stay at Tezpur Hotel. After breakfast drive to Tawang (175 kms / 7 hrs drive), en-route Sella Pass at 13,700 ft. Overnight in Tawang . After breakfast visit Local Sightseeing Gorsham Chorten, Gontse Garden, Singar Ani Gompa. Evening return back to hotel. Overnight stay in Tawang. Reserve day for visit Bomla Pass ( China Border) and Madhuri Lake, Overnight stay at Tawang. Note- The local taxi association of Tawang did not allow our vehicle to do sightseeing at Bomla Pass. Also we do not have any control over it. The Cost of Vehicle and Entry Pass for Bomla Pass will pay separately to them (approx cost Rs5000/-)(If you visit that place). After breakfast drive to Bomdila (155 kms / 7 ½ hrs drive). Night Stay at Bomdila. After breakfast drive to Kaziranga (280 kms / 8 hrs drive). Overnight in Kaziranga. After Breakfast Procced For Sibsagar , Visiting Rangghar, Patalghar, Jayasagar (This Area Is Famous For Ahom Capital) , Return To Kaziranga , Overnight Stay At Hotel. Morning after breakfast proceed to Kohima (Capital of Nagaland).on the way you will see the Tea caltivation, Hill Cultivation and Green Beauty of North East state. Overnight stay at Kohima hotel. After breakfast full day visit to Kohima including world war cemetery, Kohima village. Overnight in Kohima. Nagaland state Museum: it is housed in ancestral weaponry & provides an insight into the Naga culture, traditions & history. The exquisitely carved gateposts, status pillars, statues & traditional Naga costumes & jewellery are the main exhibits of the museum. 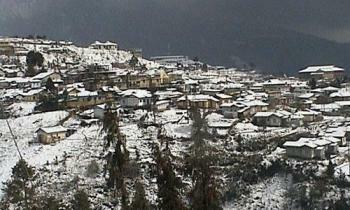 Kohima village: The village is said to be the biggest & most populous in entire Asia. According to Naga legend, the present day Kohima was founded here. At the entrance are exquisitely carved ceremonial gates, with the scimitar of horns of mithun (Bos Frontalis), symbolizing bravery & valor. The Catholic Cathedral at Aradura Hill in Kohima, is one of the biggest cathedrals in North-east India. Its splendid architecture makes it one of the important landmarks of Kohima. The unique design created by blending the traditional with the orthodox developed into an architectural marvel. A must-visit place in Kohima. Morning after breakfast , Proceed Airport, End of tour.